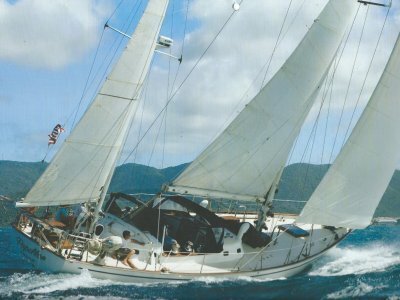 'Mora' is a world class bluewater ketch from the board of renowned naval architect Ted Brewer. Constructed in aluminium alloy, the hull was computer designed and lofted ensuring accuracy and fairness, as well as great strength. The hull is insulated above the waterline and below the deck with sprayed insulation for comfort in both high latitudes and the tropics. 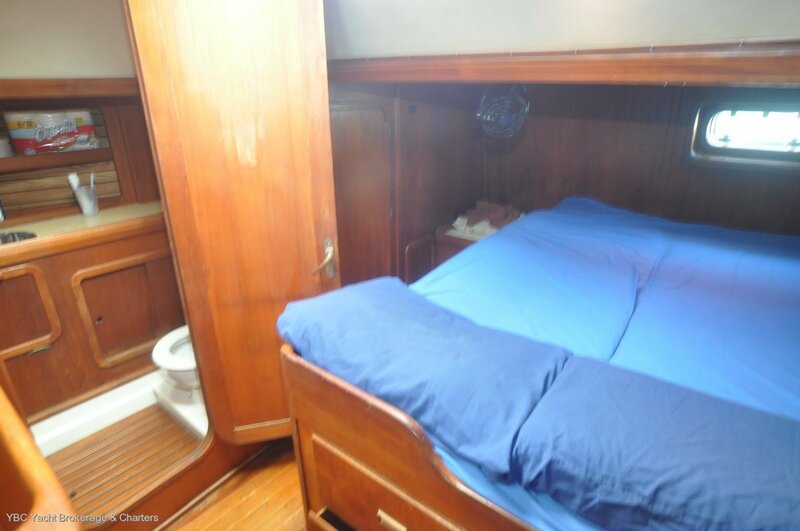 The accommodations sleep up to five in private staterooms plus two in saloon pilot berths. Additionally there is a self contained workroom that adjoins the engine room. Despite her size she does not need a large crew, with controls all reachable from the centre cockpit (the current owner cruised with his young family, so it was necessary to be able to single-hand on occasion). 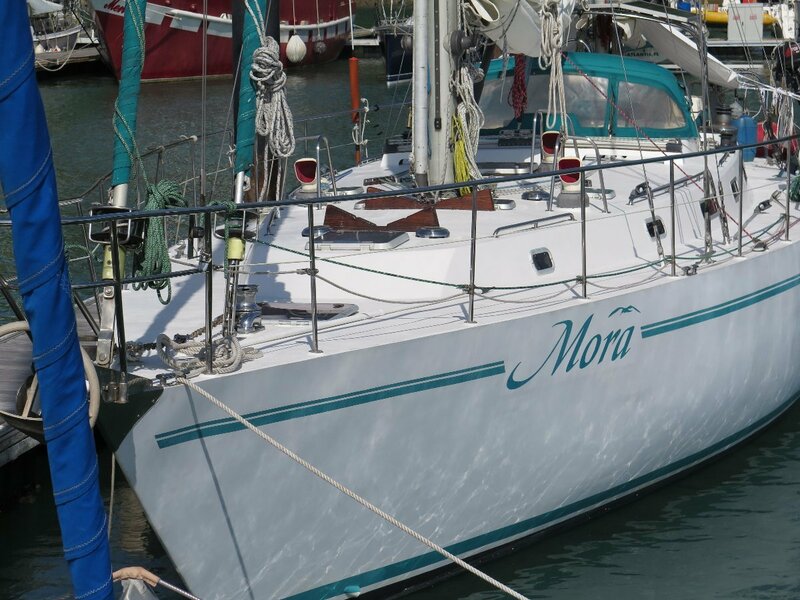 'Mora' was extensively overhauled in Australia in 2009 with many upgrades and improvements made, including the addition of a stainless steel guard rail, stainless steel arch and davits, a new SPECTRA watermaker, new MAXWELL windlass, electronics upgrades, replacement refrigeration, new radar/chartplotter, new solar panels and charge controller. 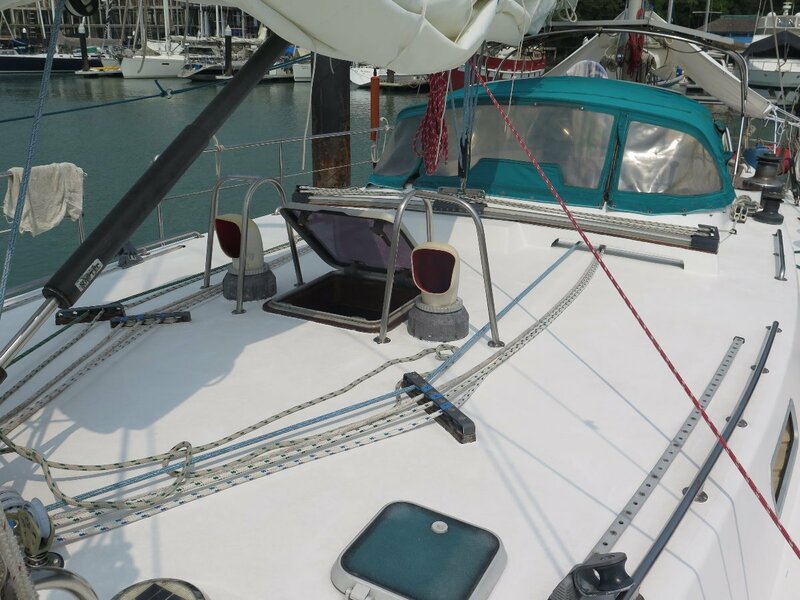 Sail handling was improved through the installation of Harken track and battcars. 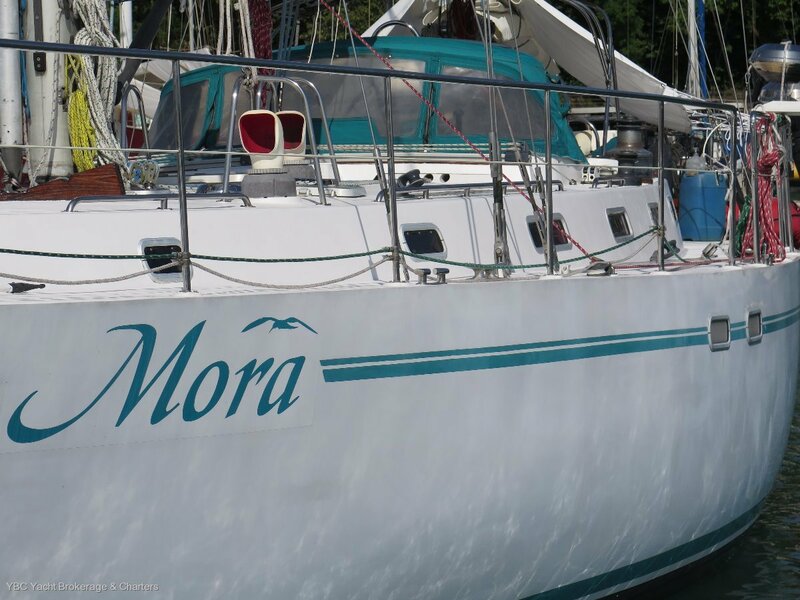 In summary, 'Mora' is a spacious and well-appointed centre cockpit ketch for fast global cruising in safety and comfort. 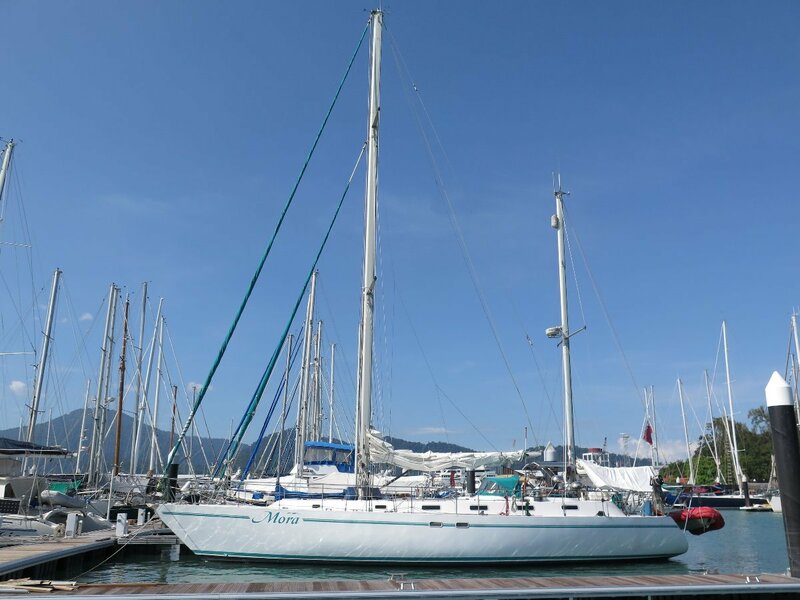 She is a true bluewater yacht and carries an extensive array of tools and spares enabling self sufficiency wherever she cruises. She is ready to sail, and currently berthed in one of the world's best cruising destinations. Recently reduced in price, she is also excellent value. 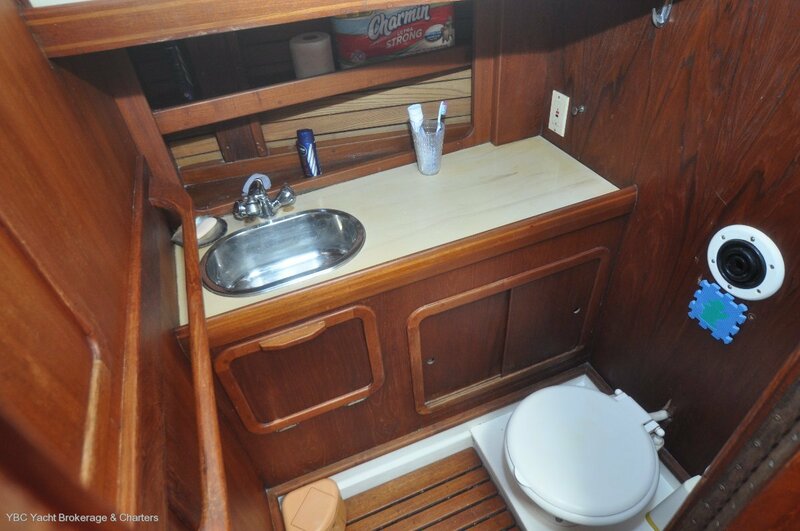 Full forward is the extra large bathroom with two sinks and vanities. 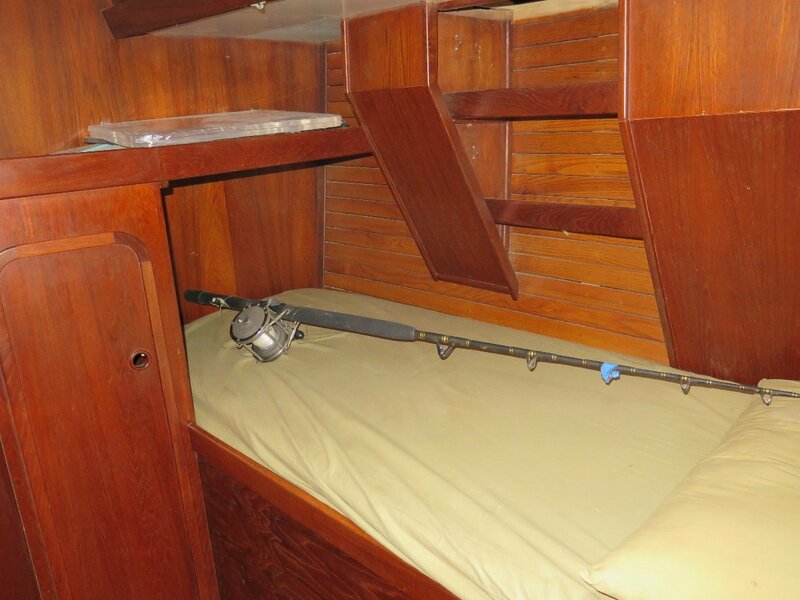 This cabin was originally two small crew cabins and the bulkhead has been moved backwards to provide a vast sail/fender locker adjoining the chain locker. 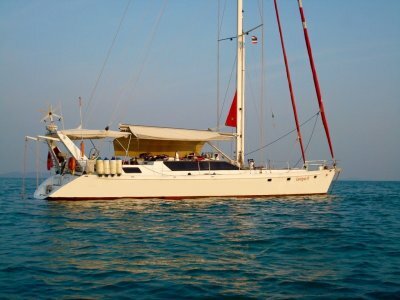 Moving aft, a good size double cabin lies to port with shower/hip bath and a single cabin is found to starboard. 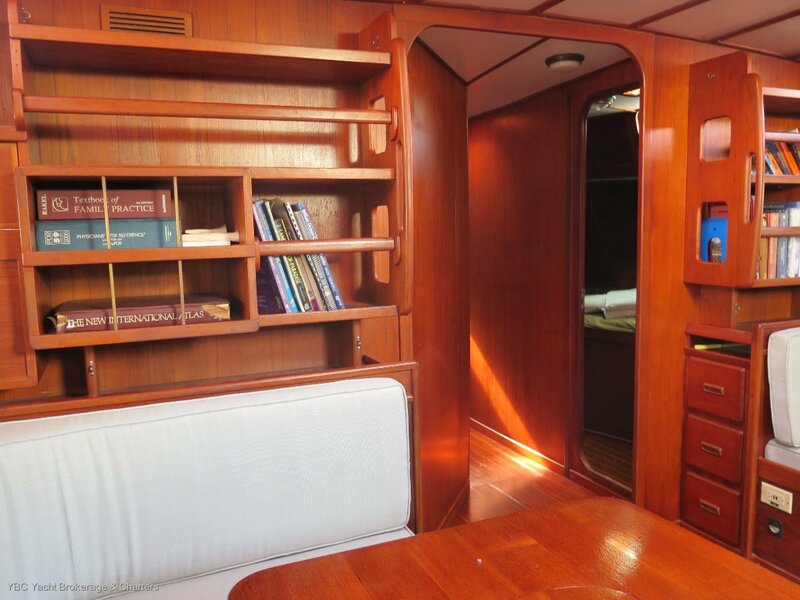 All cabins are fitted with hanging lockers, drawers and book shelves. 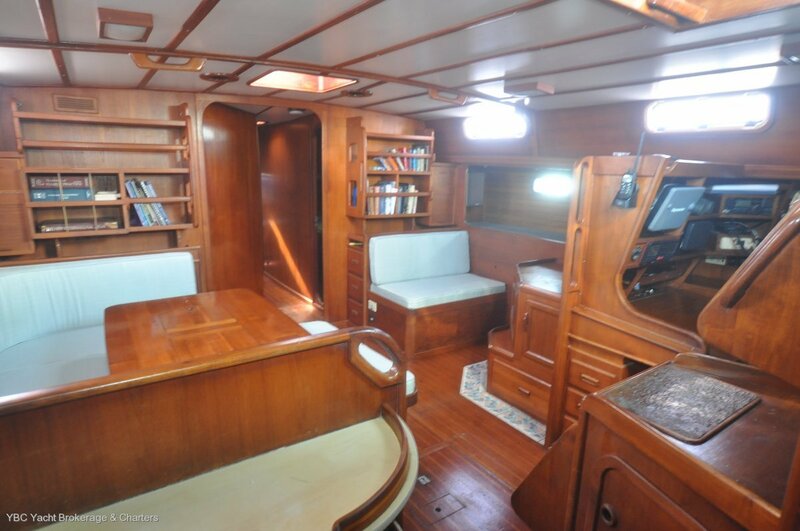 The saloon is expansive, taking full advantage of Mora's 16'7" beam. 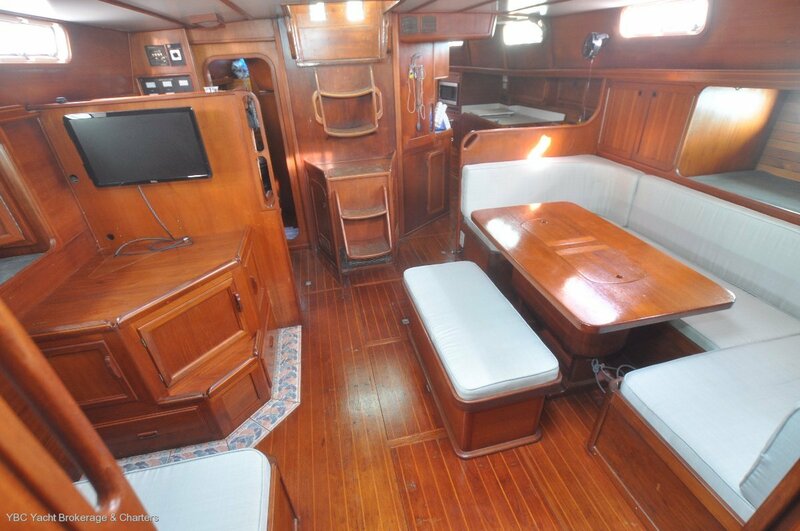 To port, a dining table accommodates up to eight with further seating to starboard. 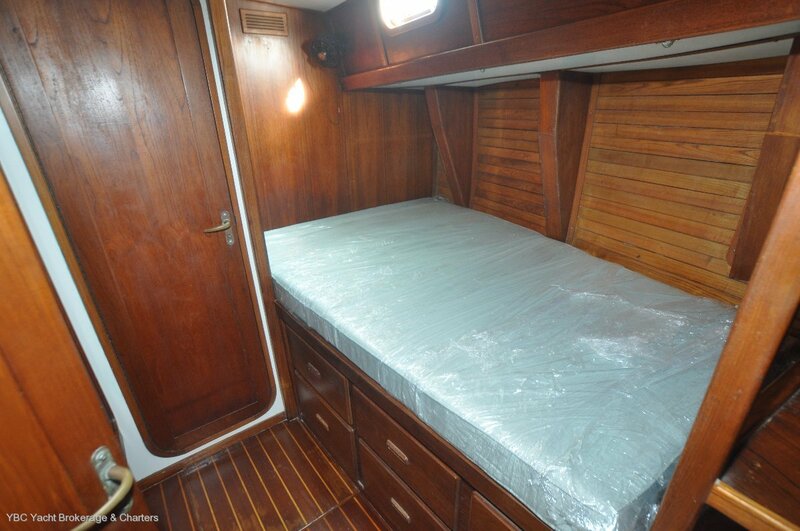 The saloon also provides two excellent full length pilot berths. Stowage is found beneath all seating and berths. 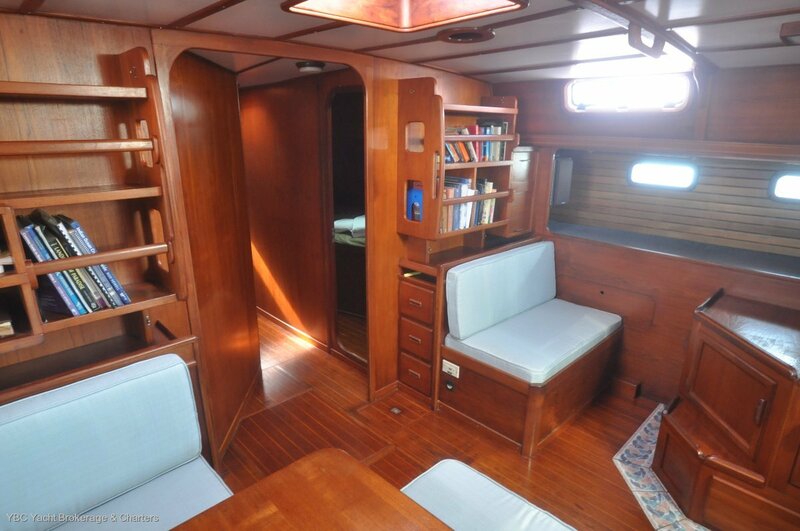 Further stowage can be accessed below the cabin sole with additional lined areas and drawers The cabinetry throughout is in teak and cherry. 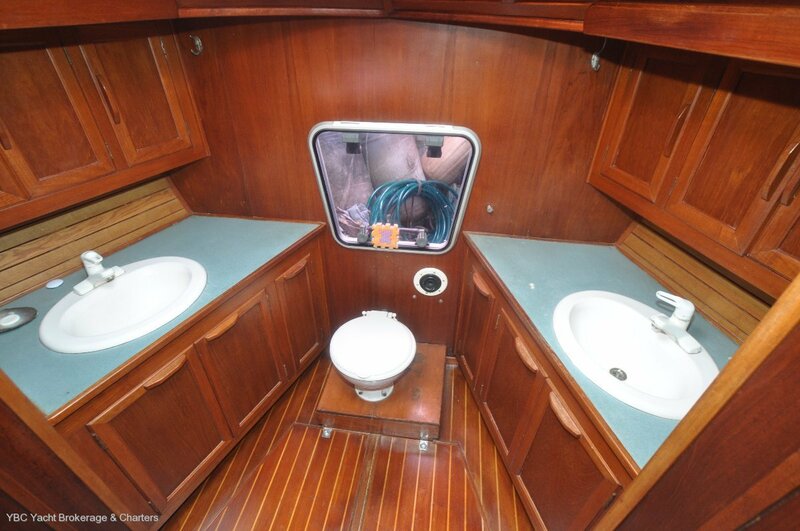 Moving aft, the galley is to port, leading to a double stateroom with adjoining en-suite head and shower. 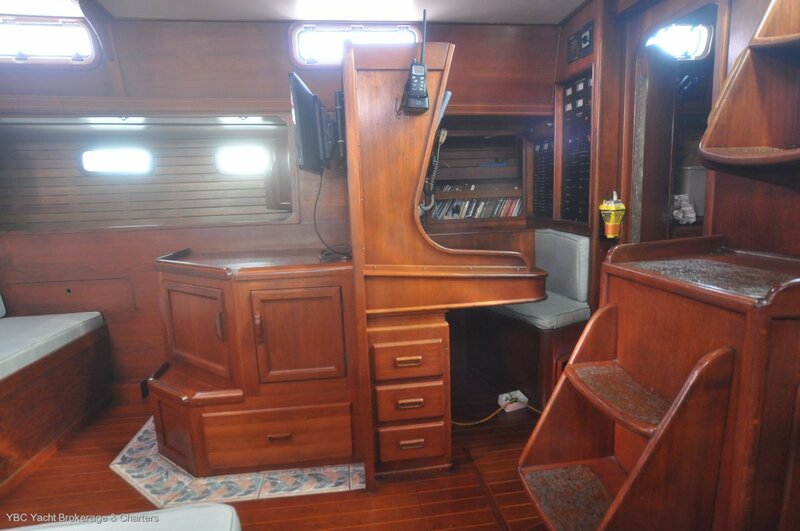 To starboard, adjacent to the companionway, the navigation station houses instrumentation, the AC and DC electrical panels, and a full size chart table. 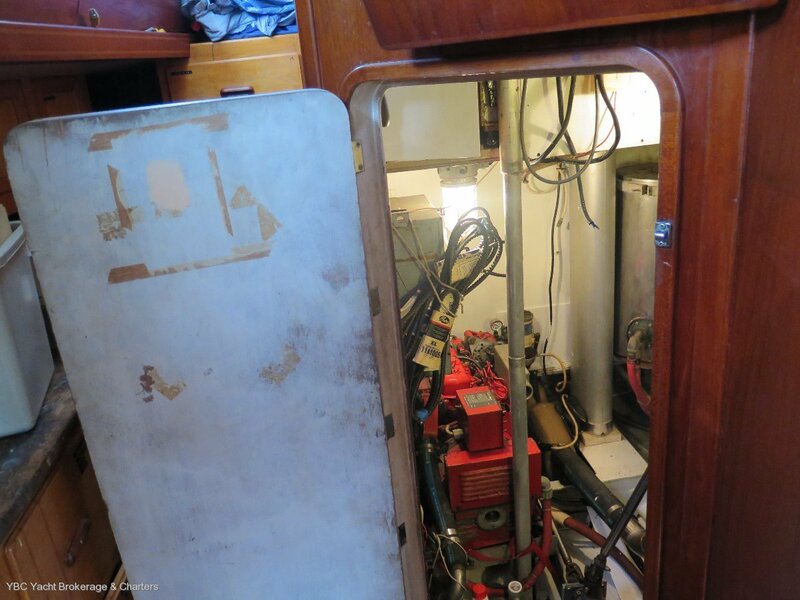 Further aft lies the dedicated workroom, from which the (standing height) engine room is accessed. Two LAVAC heads. Both have electric pumps with manual pumps plumbed in-line for backup. 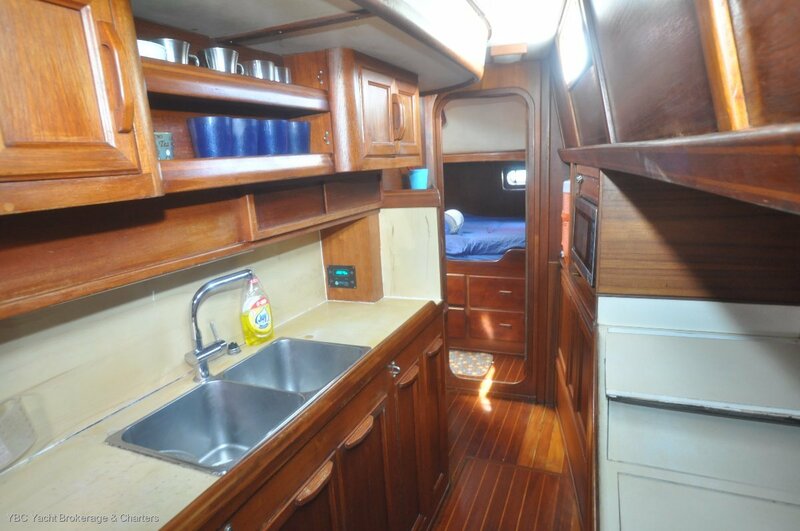 The galley has good countertop and cupboard space throughout. Equipment includes: double stainless steel sink and mixer tap; Force 10 three burner gas stove and oven; top loading 70 litre and two 40 litre 12 volt fridge/freezers all fitted with smart speed controllers; microwave oven. A highly efficient and quiet SPECTRA Catalina 300 watermaker gives 47 litres per hour while running on just 15 amps at 12 volts DC. 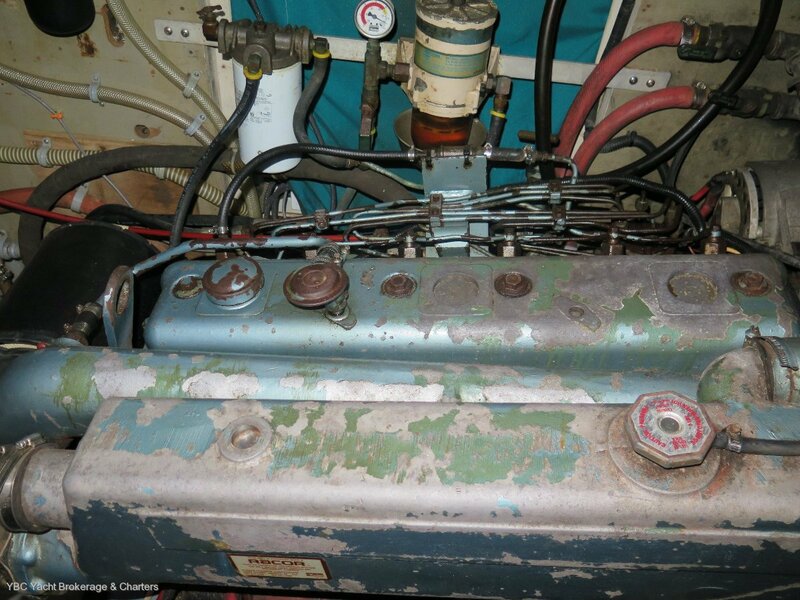 The yacht's AC system accommodates 110v and 220v. AC can be provided either from shore power or the PROSINE 4500 WATT inverter. The yacht's DC system is 12VDC with a large house bank of six 8D Gel Cell batteries totalling 1200 amps. There is a separate start battery. DC charging is from five solar panels totalling 600 watts. There are also twin large-frame alternators on the engine for rapid charging under power. There is a 20 amp AC charger. Wiring is all tinned. 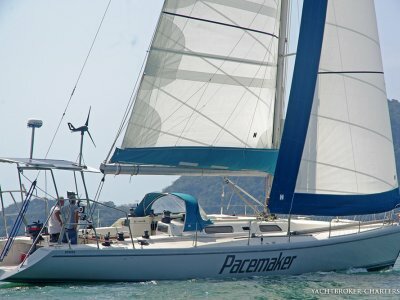 Both furling headsails are well used. Main and mizzen good condition. Masthead ketch rig. Both masts are keel stepped and were un-stepped in 2008 to facilitate rig inspection and the installation of HARKEN track. 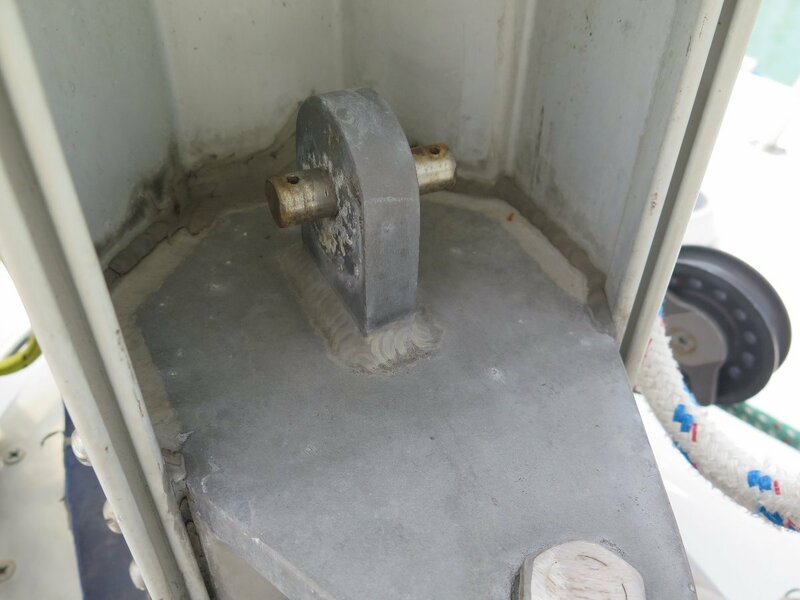 The mast wedges were replaced with SPARTITE - a one-piece custom mast chock that seals the cavity between the mast and the partners. The slab reefed main and mizzen both run on Harken batt cars. 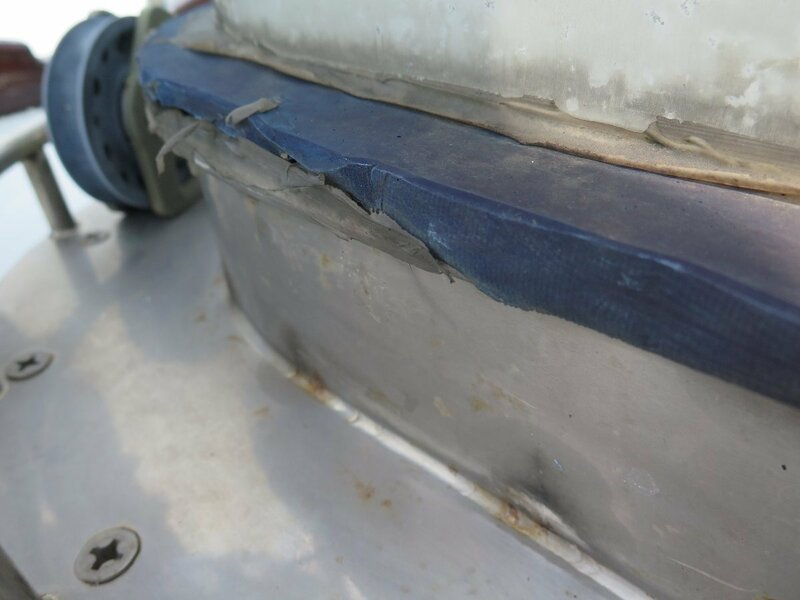 This system was adopted to replace the original mast furling. 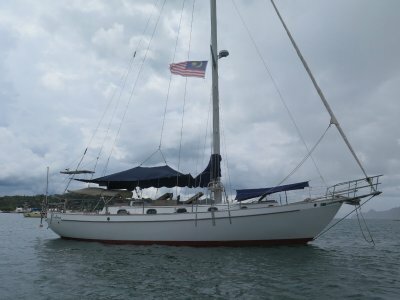 As well as allowing a more efficient sail shape, the sails can now be reefed much faster and on any point of sail directly from the cockpit. 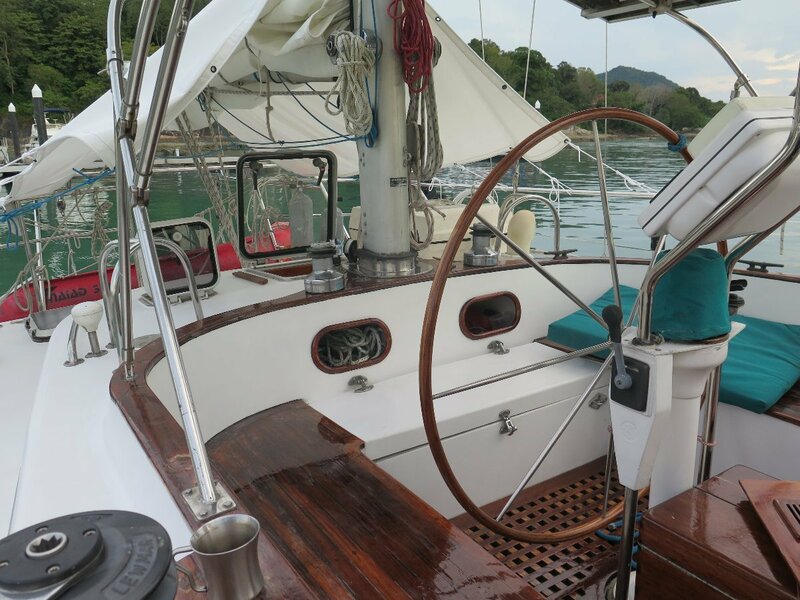 The ketch rig, as well as splitting the sailpower into easy to handle loads, also gives greater options to balance the yacht over a sloop rig, keeping the helm light. Mast mounted spinnaker pole on track. Running rigging is spectra/dacron, with a full complement of spare lines on board.